H&M Romantic Edge 2013 Lookbook . 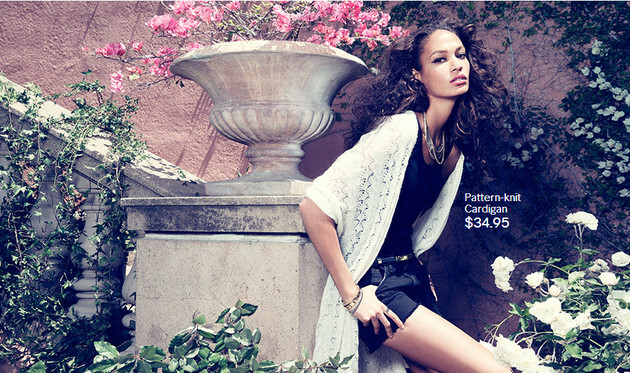 Joan Smalls fronts the H&M Romantic Edge 2013 lookbook, which proves a quick and helpful lesson in style. Rather than going for the stereotypical romantic vibes that revolves around maxi dresses and conspicuous floral prints, the label opts instead for a fresh, modern approach which will resonate much better with trend-focused fashionistas. Moreover, the label doesn't rely on bold colors for a high impact. Instead, the label uses versatile pieces to create feminine yet edgy ensembles. Versatility us always a part of the equation. The H&M Romantic Edge lookbook brings plenty of spectacular black and white ensembles for those who getting tired of the prevalent neon inspired ensembles or simply crave a classier look that still has plenty of interesting touches. One of the best things about opting for simple ensembles is that mixing and matching prints becomes a lot easier and clashing is less of a concern. The best pieces for instantly adding an edgy flair to the new season looks? A cool imitation leather biker jacket which adds a daring vibe without overly diminishing the romantic flair. 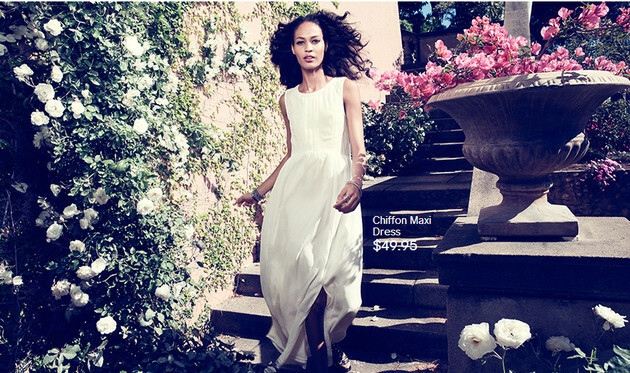 If you love minimalistic touches, the new H&M summer 2013 lookbook brings a variety of fab dresses worth considering. As temperatures start rising, few things are more liberating than slipping into a fab dress, add a few cute accessories and being ready to start your day. From romantic short chiffon dresses to fabulous maxi dresses the new lookbook definitely proves that simplicity is definitely the best policy in the new season. Think shorts are only for casual outfits? Think again. The label proves that with a bit of creativity even shorts can be a part of a polished look. When aiming for a polished allure, don't be quick to dismiss distressed jeans, especially if you're craving a bit of edginess. Once again, the H&M Romantic Edge lookbook shows several creative approaches you can copy if you feel the need to spice up your new season looks. Add a few modern accessories to the mix and you have the perfect recipe for creating plenty of outstanding outfits in the upcoming season.